Kids need Organization Skills in order to function during their school day. A student's desk is so over-stuffed that papers are crammed in among pencils, books, last week's homework, and the missing permission slip for today's field trip. A backpack that is filled with crumbled papers, broken pencils, toys, and crumbs from last week's lunch. A locker that doesn't shut because granola bar wrappers, overdue library books, three sweatshirts, and last semester's gym shorts. A homework folder that is so full that it doesn't shut flat, filled with doodles, notes from teachers, homework, and yesterday's test that needed a parent signature. How can a child function during their school day when they are so disorganized that desks, backpacks, lockers, and folders are so overwhelming? 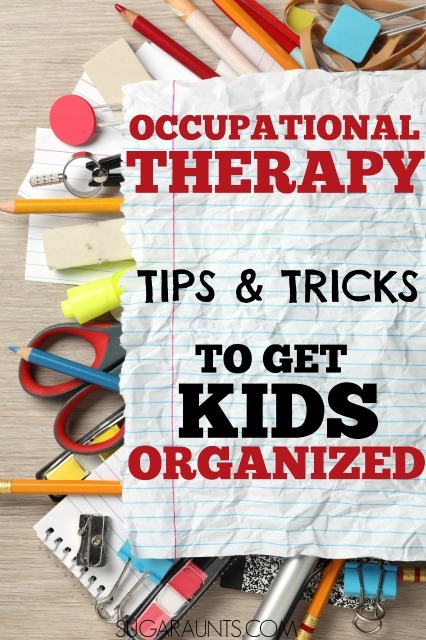 As an Occupational Therapist in the schools, I often times had referrals for kids with organizational difficulties: messy desks, overstuffed book bags, trouble with keeping homework and classroom assignments organized, lost or missing parent/teacher communication, and the ability to organize and care for one's own belongings during their school day. 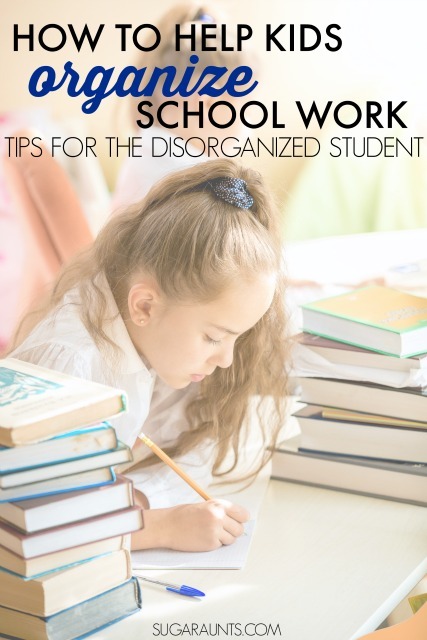 There are many ways that a student can overcome disorganization and flourish in school with systems that work for them. As with any Occupational Therapy recommendation, ideas are individualized to meet the student's needs. Every child is different in their strengths, abilities, and needs and what works to organize one student will not work with another. Today, I'm sharing tips and tools to help organize students so that they may learn in the classroom and school environment. These sensory strategies for school based occupational therapists can be a big help in addressing the organizational needs of students. What causes a student to become so disorganized that they cannot complete classroom requirements? Studies show that individuals with a small or underdeveloped frontal lobe of the brain tend to have difficulties with organization, poor memory, emotional reactions, and they tend to become overwhelmed by simple tasks. These individuals will have trouble keeping themselves organized in tasks. 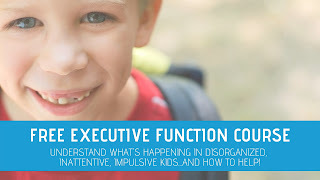 Executive functioning is needed to keep up with the growing to-do list of the school's day. A child with executive function difficulties can't see the first step they need to take in a project. Taking home a daily planner, packing a backpack, arranging items in a desk, placing homework into the correct bin, all requires working memory, motivation, cognitive skills, focus, planning, and persistence. Difficulties in any of these areas will result in a breakdown of task completion. So, how can a student with organization problems be helped so that they can complete assignments, function in their school day, and excel in learning? Develop routines and stick to them. Morning routines can involve unpacking a backpack, planning homework into correct bins, putting away items needed for the day, sitting at the desk, and starting on morning work. Maintain a consistent routine. Develop routines for different parts of the student's day. Social stories, picture schedules, story stones, and physical routing minders can help. 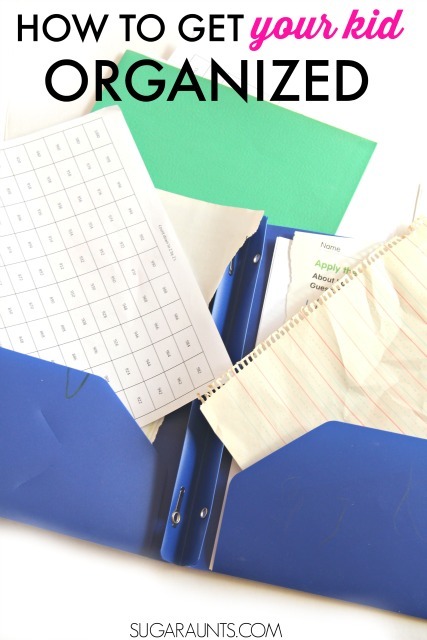 Use a simple Schoolwork Folder system. Create a system for paperwork that needs to come back to school and what can stay at home. A simple 2 pocket folders works best for this. Adding extra pages or parts to the folder creates too much visual input. Add a bright sticker to one pocket for "Keep at Home" and a bright sticker for the pocket to "Bring Back". A plastic folder is more durable. Older students can use color coded folders for each subject. Clear document folders in different colors can be used to coordinate with each subject's color. Create a container system for lockers. Use one container for hat, gloves, scarf, and one container for books. The container can be emptied into the backpack at the end of the day. Add pictures to the locker for a visual cue for where the coat, lunchbox, and backpack should hang. Add shelves if needed. Picture Symbols. A visual cue is a great way to break down tasks. Create a series of pictures for desk morning tasks, lunch tasks, or end-of-the-day tasks. Pictures can be printed off in a strip and the strips replaced as the day goes by. Use checklists. Make checklists that the student can mark off tasks as they are completed. 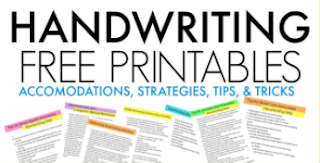 Using a checklist is a great way to incorporate handwriting skills into the routine. Marking a check mark or "x" in a small box allows for precision of motor movements. Eliminate dropping of the pencil. Students with organizational problems often times have difficulty with fidgeting, sensory issues, fine motor skills, attention...(all of the items described in the list above!) Dropping the pencil can create a break in attention that allows for further disorganization. Tie the pencil to the desk to prevent dropping: Tie a string to the eraser end of the pencil and tie the end of the string to a suction cup . Attach the suction cup to the desk surface. Homework assignments should be written in the same place on the blackboard each day. Allow time at the beginning of the class or day instead of at the end to write down that day's homework. Teachers can sign off in an assignment book after the student writes down the day's homework. Provide a space for parent sign-off after homework has been completed. Reward systems. Set up an incentive or reward system for appropriate organization of folders, backpack, locker, or homework completion. These can be tailored to the student's interests. Use a second set of textbooks at home to eliminate the need to bring books back and forth between school and home. Break long term projects into smaller tasks with deadlines. Color code notebooks, folders, book covers, and workbooks. Books and notebooks can use prefabricated book covers or you can use colored paper to create book covers in a variety of colors. Add a small colored dot on homework assignments that correspond with the color of the subject's book. Use markers or small stickers to color code homework. Use a zippered pouch for pencils, erasers, calculators, etc in the backpack. This will reduce the items "floating around" in the backpack. Parents can be provided with a small list of students in the class that can help with homework assignment questions. These students or parents can be called if there are questions about assignments. Place a checklist of what needs to be brought home each day in the locker or in the desk. Use a monthly calendar to keep track of long-term assignments and weekly classes like gym or library. Develop a written contract of organization tasks with the student, teacher, and parent, along with choices for the student. Mailed homework. The parents would need to provide a self-addressed, stamped envelope and the teacher can mail the next few week's homework assignments. Clear plastic, gallon-sized bags in the backpack to hold items like gloves, gym clothes, etc. Breakdown worksheets by folding the paper into sections that can be completed before moving on to the next section. Reduce distractions in the classroom to prevent distractability: place desk away from windows, doors, and the pencil sharpener. Provide concise and concrete directions. Use a classroom peer as an organizing mentor. Provide a daily class checklist. Mark pages in a book or workbook with a paperclip so that the student can turn to the correct page more easily and quickly. Help the student clear their desk of all items except the items they should be using. Work on getting the student to be independent in this task by using visual and verbal cues. Provide a 10 second "Clear Off" time before starting a new task to allow time for the student to clear his work space. Turn in completed assignments immediately and provide a space for completed work with clear label. A bin, file, or tray works nicely for this. Mark off spaces inside the desk for items like books and pencil box using masking tape. The items should be "parked" in their correct space unless they are being used. Provide a low cardboard box inside desks with compartments for organizing supplies. Provide a clear plastic bin or shelf for the student's items instead of using a desk or locker. Use a triangular pencil grip to keep pencils from rolling off desks. Provide velcro for students to attach their pencil to the desk surface or inside the desk. Try an eraser ring to prevent losing large erasers inside desks. Use a Kneadable Eraser . It can be stuck inside the desk when not in use and makes a great fidget toy. Use a digital clock in the classroom or timers for competing tasks. Conduct daily, weekly, and monthly clean-ups of desk, locker, and backpack. At the end of the day, help the student prepare his work space for the next day. Provide a small movement break between tasks. Allow for self-monitoring of systems. Try using an Impulse Control Journal. Organizing challenges are difficulties with prioritizing and planning. 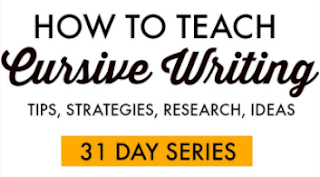 It is difficult for some students to breakdown a multi-step assignment into manageable steps. Try using the tips above for organizing in the classroom. 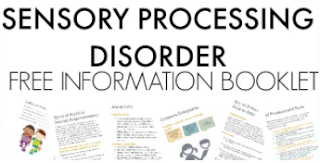 It can take a period of monitoring along with trial and error to establish an appropriate organizational system that works for your student of child. This is our first post in a new series on organization for kids. 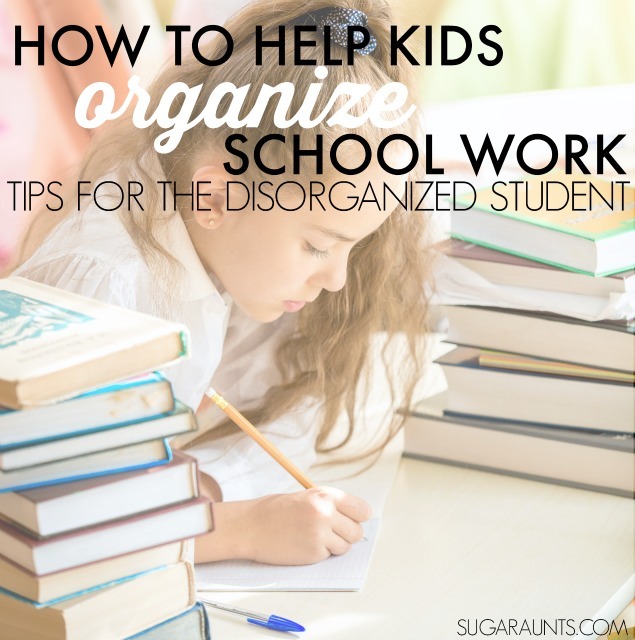 I'll be sharing a few other ways to help kids become organized so that they can function in daily tasks. Stay tuned for more tips to help organize themselves. Are you getting our newsletters? Sign up to receive weekly (or less!) emails so you don't miss a single post! Sign up here.